Indirect Participants within the Great Conversation across the ages: Nietzsche, Vico, Croce, Voegelin, Rorty, Strauss, De Chardin, Said, Thoreau, Searle, Dawson, Chomsky, Pierce, Whitehead, Judt, Danto, Goodman, Piper, Fish, Siskind, Shroeder, Nasr, Weiler, Ulaneiez, Frie, Berry, Palmer, Ryn, Burke, Weaver. Section 1: “A Common Human Ground as Unity through Diversity: From Plato to Ryn: The Cultural Anthropologist as Philosopher and Conspirator.” A Presentation by Emanuel L. Paparella. Section 2: “From the Abstract to the Concrete: Thought and Action.” A Presentation by Ernesto Paolozzi (excerpted from his Ovi e-book The Philosophy of History and the Duty of Freedom (chapter 3). Vico and Croce are undoubtedly the two Italian philosophers who represent the culmination of Italian Humanism. But they are more than that; they are also proponents of a new Humanism and a new Renaissance; something that has so far eluded post-modern positivist philosophy which proclaims that the scientific mind-set is the ultimate flourishing of human evolution and that metaphysics is merely a bridge between obscurantist “gothic” religion and enlightened science. Within this predicament of post-modern culture we need to revisit the dubious dichotomy of the two cultures conceived as mutually exclusive: one humanistic and classical composed of the liberal arts and the other scientific conceived as inevitable and progressive. It is important to realize and acknowledge that such a state of affairs did not exist in the century of humanism (14th century) or the Renaissance (15th and 16th century). It would be enough to think of Leonardo Da Vinci who was both an excellent artist and a brilliant scientist who never proposed two mutually exclusive cultures. What obtains today is the brainchild of Cartesian rationalism and the age of Enlightenment issuing into 19th and 20th century positivism, denigrating religion and the poetical while considering as the best what comes at the end of an era. This evolutionary view is not even logical since we know that many socio-historical-cultural phenomena that came after the Enlightenment, far from being the best of all possible developments turned out to be the worst imaginable. Indeed, Kierkegaard’s insight about “the sickness unto death,” that is to say, of those who not knowing their history, end up dehumanizing themselves without even being aware of it, is a warning, almost a prophecy of things to come in the next 20th century. What needs to be urgently contemplated is a return to origins, to the era of the gods, the poetical, the religious aspect of historical development with which any society, even the most primitive, begins and then envision what exactly are the values that we have lost at our own cultural peril; that is to say, we need to practice cultural anthropology and conceive of it as a subversive activity in as much as its practice implies the asking of many uncomfortable and inconvenient questions. Like Socrates, we need to transform ourselves into irritating gadfly and urge a re-examination of our own nature and realize that “the unexamined life is not worth living,” that while rationality is part of such a nature, we overlook the poetical at the risk of our humanity. One of those post-modern necessary gadfly is Claes G. Ryn, a professor of philosophy who is introduced in section one of this Ovi Symposium meeting. He is very much in Vico and Croce’s tradition of harmonizing the poetical with the scientific, reminding his contemporaries that we need to recover an integral humanity which conceives the spirit, the mind and the body (the material) as a holistic harmonious whole, just as the ancient Greeks, fully understood and acknowledged. We need philosophical-cultural anthropologists or visionaries ready to prepare a new humanism capable of harmonizing and dialectically synthesize the religious, the philosophical and the scientific. Here is where Vico and Croce’s foundations in the philosophy of history can be most useful. The skeptics will continue asking: what good can come out of Naples, and that would not be too unlike the skeptics who asked “what good can come out of Nazareth”? but then skepticism has never led to vision and bliss, only to bitter cynicism. As Matthew Arnold, the apostle of the Liberal Arts in the 19th century put it: what is urgently needed is not more scientific innovations yielding nuclear weapons and Machiavellian and economic market solutions, and technological wonders, but “sweetness and light.” The grand road of the poetical found within the intelligible realm, outside Plato’s cave where the senses rule, can show us the way to the summit of a new Humanism. Vico and Croce, if we choose to do so, can be our indispensable guides to get to safely get to such a summit. On the European side of the Atlantic one hardly ever hears mentioned the contributions of American academics to the fierce debate on multiculturalism going on in Europe. Given that America is a symphony of cultures, or a nation of nations, it seems obvious to me that the American contribution to such a debate would prove at the very least valuable, if not essential. Alas, that is not always the case, more often than not it is simply dismissed with spurious condescending charges that somehow American popular culture has vulgarized and reduced to a lower common denominator the more sophisticated culture of Europe. That may contain a kernel of truth but it is that kind of rather superficial analysis that, in my opinion, renders a great disservice to a serious dialogue on multiculturalism between the two sides that that ought to be going on but is often missing. I’d venture to say that frankly, this phenomenon smacks of elitism and condescension. When Matthew Arnold finally visited America in the 19th century he realized that his own European culture had fed him with many misconceptions about America and changed his mind on quite a few of them. In my various postings and contributions for Ovi in the last three or four years I have attempted, as best as I could, to point out how unfortunate such a persistent tendency is. I have briefly introduced the Ovi readership to several academics and intellectuals within the field of philosophy, specifically the philosophy of history of Giambattista Vico and Benedetto Croce who are actually Europeans but outside the mainstream of empirical materialistic positivism; others are Americans born in Europe. My hope was that, once those authors were introduced, the interested reader would then deepen the search on her/his own. To mention a few that come to mind: Voegelin, Rorty, Strauss (albeit mostly as a severe critique of what I consider his misguided anti-historicist stand and distortions of Vico), De Chardin, Said, Thoreau, Searle, Dawson, Chomsky, Pierce, Whitehead, Judt, Danto, Beardley, Goodman, Piper, Dewey, Fish, Siskind, Shroeder, Nasr, Weiler, Ulanowiez, Frye, Berry, Palmer, just to mention a few. Each of the above listed authors were accorded a brief contribution in Ovi designed to introduce them to the educated readership. They are all academics and authors who either were American born or lived and worked in the US extensively and eventually became American citizens. Just listing their names should convince the reader of how important it is to pay attention to the cultural and intellectual ferments going on this transatlantic side of Western civilization and to the cultural bridges of understanding and conviviality between the two continents that those great intellectuals have attempted to build. Indeed, there is much more to American culture than Disney’s Mickey Mouse and Las Vegas, and making money on Wall Street, and global business and the assorted vulgarities of popular culture and entrepreneurship, as the caricaturists love to assert. I am always bewildered, when I visit Europe, at how many Europeans who consider themselves well educated have no inkling of the fact that Disney and Las Vegas are not the whole of American culture, and not even an important part of it, even if millions of Europeans flock to it every year and then proceed to make negative judgments on the whole culture. Admittedly American culture is slightly different from European culture, if for no other reason that it has the Afro-American and the Native-American and Asian-American component, but I would submit that it is a culture worth knowing on more than a superficial level. I’d like to now introduce to the Ovi readership Claes G. Ryn, another American author and academic who originally ailed from Sweden, but was educated in America (Ph.D in 1974 from Louisiana State University) and subsequently taught at the University of Virginia and Georgetown University. He presently teaches political philosophy and Ethics at the Catholic University of America. One of his later books is A Common Human Ground: Universality and Particularity in a Multicultural World (2003), a highly commendable book on the subject of historicism and multiculturalism. 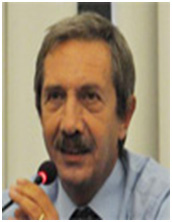 He is also the editor of the academic journal Humanitas and president of the Academy of Philosophy and Letters. Most importantly, he has criticized abstract, a-historical conceptions of rationality as inadequate to the study of distinctively human life and to the study of real universality. He has argued that there is a much different, experientially grounded form of rationality, the reason of philosophy proper, that is capable of at once humble and penetrating observation. He has therefore developed a philosophy known as value-centered historicism, which demonstrates the potential union of universality and historical particularity and is redolent of Vico’s philosophy. In political theory he has been a sharp critic of Straussian anti-historical thinking and so-called neo-conservatism. He has argued that in essential ways neoconservatism resembles the ideology of the French Jacobins and is in fact neo-Jacobin. Many in the Western world trust in “democracy,” “capitalism,” “liberal tolerance,” “scientific progress,” or “general enlightenment” to handle this problem. Ryn argues that the problem is much more complex and demanding than is usually recognized. He reasons that, most fundamentally, good relations among individuals and nations have moral and cultural preconditions. What can predispose them to mutual respect and peace? One Western philosophical tradition, for which Plato set the pattern, maintains that the only way to genuine unity is for historical diversity to yield to universality. The implication of this view for a multicultural world would be a peace that requires that cultural distinctiveness be effaced as far as possible and replaced with a universal culture. The Enlightenment set the pattern for this view. A very different Western philosophical tradition denies the existence of universality altogether. It is represented today by postmodernist multiculturalism—a view that leaves unanswered the question as to how conflict between diverse groups, especially when originating from religious principles, might be averted. Ryn questions both of these traditions, arguing for the potential union of universality and particularity. He contends that the two need not be enemies and mutually exclusive, but in fact need each other. Cultivating individual and national particularities is potentially compatible with strengthening and enriching our common humanity. His book embraces the notion of universality, while at the same time historicizing it. His approach is interdisciplinary, discussing not only political ideas, but also fiction, drama, and other arts. This is an approach proposed by Vico in the 18th century, and by Croce in the 20th century. Ryn's discussion of modern democracy emphasizes that popular government can assume radically different forms, only some of which can be judged compatible with a higher, ethical striving. Theories of what he calls plebiscitary democracy assume romantic and utopian notions of human nature and society. Constitutional democracy is based on a more realistic view of man and is more consonant with the actual moral terms of human existence. This form of government has demanding moral and cultural preconditions and is endangered wherever those preconditions are not satisfied. In the year 2000 Ryn gave the Distinguished Foreign Scholar Lectures at Beijing University, which also published this lecture series in Chinese translation as a book, Unity Through Diversity (2001). He has lectured and published widely in China. In 2007 he gave a keynote address at the Chinese Academy of Social Science in Beijing. The Chinese edition (2007) of his book America the Virtuous became one of the most hotly discussed in China. Dushu, China's preeminent intellectual magazine, described it as "the kind of classical work that will be read over the generations." The above background ought to convince the reader of how important is Ryn’s thought for present philosophical political and ethical concerns. I believe that his most signal contribution is in the field of historicism, or the restoration of Vichian historicism in an academic world devastated by a-historical abstract absolutistic Straussian thought. In 2005 Ryn published a devastating critique of Straussianism in Humanitas (Vol. XVIII, n. 1 and 2) in an article titled “Leo Strauss and History: the Philosopher as Conspirator.” The article points out how dangerous it is for those teaching philosophy to choose a pet philosopher (in Strauss’ case, Plato) from the ancient world and subsume the whole philosophical enterprise to his thought as a sort of footnote, as if nothing had been thought and nothing had happened in the field of philosophy in two thousand plus years. Though not a philosopher in the more narrow, ‘technical’ sense, Burke sees deeply into the connection between history and universality. Other philosophically more systematic and conceptually precise minds, including Hegel in the nineteenth and Benedetto Croce in the twentieth century [and I would add Vico in the 18th century], have, in spite of philosophical weaknesses of their own, provided a more penetrating account of what Burke understood more intuitively. One of the weaknesses of modern American intellectual conservatism has been its failure fully to absorb the historical consciousness that gave rise to and gave distinctiveness to modern conservatism. A certain resistance in the Anglo-American world to philosophy above a certain level of difficulty helps explain this problem. One finds, for example, in a thinker like Richard M. Weaver a failure similar to Strauss’s to grasp the possibility of synthesis between universality and the particulars of history. To be sure, that deficiency does not make Weaver as unfriendly as Strauss towards tradition, but, although Weaver himself may not recognize it, it does give tradition a philosophically precarious existence. The absence in Weaver’s thought of the idea of synthesis makes him see the need for a choice between ‘imitating a transcendent model,’ which is to him the appropriate stance, and giving prominence to individuality. What will invest life with meaning is ‘the imposition of this ideational pattern upon conduct.’ To Weaver, ‘ideas which have their reference to . . . the individuum . . . are false.’ Echoing an ancient notion that had long been challenged by historicist philosophy when Weaver wrote, he asserts that ‘knowledge’ has to be of the universal, not the individual. He decries ‘the shift from speculative inquiry to investigation of experience.’ That universality might be a concrete, experiential reality rather than a purely intellective, a-historical truth does not here occur to him. on the transcendental logic of Kant and Hegel, even if in time a strong connection with Giambattista Vico will emerge, whose conception of the unity of philosophy and philology can be said to be the logical antecedent to the theory of historical judgment. Closer to Kant than to Hegel, as I mentioned earlier, Croce eliminates any transcendental or realistic residue, puts into motion Kant’s synthetic a priori, situates it in history and “realizes,“ to use Hegel’s terminology, the dialectic of opposites by placing it in relation (but it is a question of more than a simple relation) with the logic of distincts. The foundation of this new logical system, or method, is the assertion of the concept as pure concept, that is, distinct from representations or intuitions and from logical fictions or pseudo-concepts. The true concept arises from representation (previously we have seen that knowledge has for Croce two forms, the intuitive and the conceptual) and without them it could only live as mere abstraction, but it is distinct from it, as it is obvious and natural. But the concept is not the one that we currently designate with this term. It is not an arbitrary abstraction constructed on the concrete representations of reality. This is Croce’s famous example: “If we think of the house, we refer to an artificial structure of stone or masonry or wood, or iron or straw, where beings, whom we call men, are wont to abide for some hours, or for entire days and entire years. Now, however great may be the number of objects denoted by that concept, it is always a finite number; there was a time when men did not exist, when, therefore, neither did his house; and there was another time when man existed without his house, living in caverns and under the open sky. Of course, undoubtedly, we shall be able to extend the concept of house, so as to include also the places inhabited by animals; but it will never be possible to follow with absolute clearness the distinction between artificial and natural [...]; or between the animals which are inhabitants and the non-animals, which nevertheless are inhabitants, such as plants, which, as well as animals, often seek a roof; admitting that certain plants and animals have other plants and animals as their houses. Hence, in view of the impossibility of a clear and universal distinctive character, it is advisable to have recourse at once to enumeration and to give the name house to certain particular objects, which, however numerous they are, are also finite in number, and which, with the enumeration complete, or capable of completion, exclude other objects from themselves ( pp. 23-24). What is then the function of pseudoconcepts? Are they minor truths, as Hegel and later philosophy claimed, or philosophical sketches waiting for higher realization, are they errors of which one should be wary? No, is Croce’s original reply. They have in fact a practical and not a theoretical character. They are distinct and not opposed to art and philosophy. Now, in order to avoid (for as long as one can) equivocation and misunderstandings, it is good to remember that the pure concept is always also expression, language or whatever else one wants to call it, and that its fundamental character, in fact the only one, is that of being universal and concrete at the same time, so that universality does not degrade into abstraction, and individuality (the concrete!) into mere sensation. The concept has the character of expressivity; that is to say, it is a cognitive product, and, therefore, expressed or spoken, not a mute act of the spirit, as is a practical act. If we wish to submit the effective possession of a concept to a first test, we can employ the experiment which was advised on a previous occasion: - whoever asserts that he possesses a concept, should be invited to expound it in words, and with other means of expression (graphic symbols and the like). If he refuses to do so and says that his concept is so profound that words cannot avail to render it, we can be sure, either that he is under the illusion of possessing a concept, when he possesses only turbid fancies and morsels of ideas; or that he has a presentiment of the profound concept, that it is in a process of formation, and will be, but is not yet, possessed (pp. 40-41). Having established this, it remains to be said that the proper character of the concept is its being universal-concrete: “two words which designate one thing only, and can also grammatically become one: “Transcendental” (p. 49). The Kantian and Hegelian origins of Croce’s thought are unavoidable, which helps us to understand better our assertion about “putting into mobility” the concept of a synthetic a priori. Croce’s system is a continuous linking together of synthetic a priori (art as aesthetic synthetic a priori, judgment as logical synthetic a priori, will and volition as practical synthetic a priori, and so on) in the most general constitutive synthesis of life, of history (of spirit, to use a terminology that creates too many misunderstandings but which is also the most philosophically rigorous) which is unity and distinction and, precisely, a synthetic a priori of both. Before clarifying this last fundamental passage of Croce’s thought and arriving at the conclusion, to individual judgment or historical judgment, it is best to pause on the universal-concrete concept without which the theory of judgment would not make any sense. For instance, the concept of utility can be defined by abstraction as volition of the individual (which means, as we shall see, distinguishing it and putting it in relation with other concepts) but in reality as a concept it cannot exists outside of the infinite utilitarian actions that are accomplished. If this were the case, we would be returning to Platonism, to the world of ideas, whose relation with reality can only be explained mythologically with the theory of recollection, the myth of the Demiurge, and so on. But a modern Platonism, present in Croce as in all great philosophers, moves away from mythology and thinks the concept as immanent and not as transcendental. In their turn, the infinite single utilitarian actions would not be such if they were not qualified conceptually and universally as utilitarian. To think of the concept of utility as outside the single useful actions and vice versa, it would be like thinking an empty space or an object that does not occupy a space. It would be, in short, impossible. The concept, therefore, is universal-concrete. But what are its relations, how can one determine its logical necessity in the world of spirit? We have arrived at the famous determination of the logic of distinctions, at the theory of unity-distinction, as it would be best to put it, since we are dealing with the first fundamental polemical qualification with respect to the logic of opposites. Pure concepts, the categories founding human life in its essence, can only be deduced from their implication, from the very necessity that controls its existence, so to speak. There is no external limit that can serve as principle of identification to the number and quality of the categories. Croce, in reply to his critics, stated that there was nothing that forbade them to decrease or increase the number of categories. As long as that the reductions or the increase could occur on the basis of logical demonstrations and not arbitrarily. Croce identifies four categories or pure concepts, to which the infinity of experience can be reduced. Human activity, divided in two spheres, a theoretical or cognitive one, and a practical and volitional one, distinguishes, as we saw, knowledge in two forms (art and philosophy) and practical activity in two more forms (the economical and the ethical). We have used the term “activity”, perhaps redundantly, and not very elegantly, because it is important to always remember that the general character of the categories is always that of their infinite mobility, the only guarantee of liberty. The fundamental functions through which our life is exemplified are at the same time “powers of action,” constitutive elements of the judgment that recognizes, both Vichian-like and Kantian-like, that action. Even though thought, at the level of logic, is not properly an action, since it is not a practical act, it is in any case an act, namely, a particular way of doing something, namely, thinking. Since all subdivisions of the logical form have been excluded, the multiplicity of concepts can be referred only to the variety of objects that are thought in the logical form of the concept. The concept of goodness is not that of beauty. That is, both are logically the same act, since both are logical form, but the aspect of reality designated by the first is not the same designated by the second (pp. 74-75). Croce’s theory, so far described, appears clear, easily comprehensible and, why not say it, even too simple, and exposed to any type of criticism. In fact, the logic of distinctions implies many delicate and complex questions: that of unity, within which alone it is possible to determine if one wants to flounder toward metaphysical or empirical positions; that of the qualification of the negative, of not-being (i.e. the not-beautiful), and that of the real movement of categories or pure concepts, which, because of their universal-concrete nature cannot be thought in abstraction, unless in a purely logical setting, or for didactic purposes. These problems, as is clear by now, run through Croce’s entire philosophy, and return, as we shall see, in History as the Story of Liberty of 1938 and in the later essays on vitality and on Hegel’s dialectic written in the last years and months of his life. But let us turn to the Logic. [Distinct concepts] are distinguishable in unity; reality is their unity and also their distinction. Man is thought and action, indivisible but distinguishable forms; so much so that in so far as we think we deny action, and in so far as we act we deny thought. But the opposites are not distinguishable in this way; the man who commits an evil action, if he really does something, does not commit an evil action, but an action which is useful to him [...]. Hence we see that the opposites, when taken as distinct moments, are no longer opposites, but distinctions; and in that case they retain negative denominations only metaphorically, whereas, strictly speaking, they would merit positive ones. [...] When we talk of negative terms, or of non-values and, thus, of not-beings as existing, existence really means that to the establishment of the fact we add the expression of the desire that another existence should arise upon that existence. “You are dishonest” means “You are a man that seeks your own pleasure” (a theoretical judgment); “but you ought to be (no longer a judgment, but the expression of a desire) “something else, and so serve the universal ends of Reality”(94-98). The vicissitudes of distinctions, therefore, becomes more complex and more clear at the same time. Raffaello Franchini has remarked how in this phase of Croce’s thought a platonic reflection is at play , even if Croce does not quote the Greek philosopher directly. The negative, in fact, is considered reality (the mere negative, not-being, is unthinkable) in so far as different. It is the genial platonic overcoming of the impasse, in which ancient philosophy found itself, because of the unresolved polemic between the followers of Parmenides and Heraclitus. Life, therefore, is unity and distinction because what else could unity be if not the unity of ‘things” distinct, and what else could distinction be if not distinction of a unity? This means that human activity is not really concretely conceivable if it lacks one of its constitutive elements. Only by metaphor we can affirm that one man is practical and another artistic, and so on. In so doing, generally, we are in the habit of qualifying one aspect of the character of a person, judging it eminently devoted to practical or artistic things. But is there perhaps a man that acts without knowing why and how, or who lives contemplating reality without doing anything else? And above all, is any one action ever conceivable (including theoretical ones, that, in their own way, are also actions) independently of life as a whole? The “passages” that occur between the various movements of the spirit (if we can say so without creating further misunderstandings) always also qualify the negative and are distinguishable only in judgment because, in actual fact, they are deeply united. Within the concrete products of human activity (a work of philosophy, the foundation of a political party) the distinction that is made must not annul its unity. In writing the Logic, Croce has performed theoretical acts but also practical acts. He has decided, wanted to write it. He thought of organizing it in a certain way. He has privileged one didactic method over another. In founding the Italian socialist Party, Turati thought, that is, judged when it was the most appropriate historical moment. He believed that it was morally proper to perform that act, and so on. In short, he acted and thought, he performed moral, political and theoretical acts in the unity and indissolubility of life as a whole. Of great importance to what we have been saying is the question of the origin of error, which is strictly connected with it. Thought cannot be wrong. If it were to fall in error once, there would be no longer any guarantee as to the infallibility of thought itself and, therefore, sooner or later, skepticism would triumph. We are aware of how absurd this may seem but if we reflect well on this question it is possible to agree that in and of itself thought cannot err. How, then, can error originate since it exists, irrefutably? For instance, it originates because a scholar intends, wants, to defend Croce and goes out of his way to demonstrate the validity of his thesis even in the face of serious and rigorous critiques. This could also happen unconsciously, of course, when one is moved, as it often happens, by strong and sincere passion. This is how the Catholic wants to defend his dogma; the Marxist his Communism, and so on. I have emphasized the verb to want more than once. In fact, in the given example, what generates error is an act of will, a practical exigency. This is the practical origin of error to which the example we quoted above gives a noble origin. One can err on purpose, out of fear, ambition, carelessness, for many reasons that have nothing to do with philosophy. I have already alluded to the fact that the question is, in a certain way, even more complex. In fact, there a few cases when the logical error originates, instead, from an excess of intuition, which is what in philosophy we defines as aestheticism. In this case the origin of the error is not of a practical nature. On the other hand, the artist also finds himself in the condition of often having to live the drama of the contrast between his representational world and his general conception of the world. From Dante to Tasso to Manzoni, to cite the most famous examples, it is a continuous coming up against this fundamental contradiction, that in Torquato Tasso’s case became a tragedy. Something of the same occurs even in praxis. Aestheticism, philosophism, moralism lead inevitably to error even within the sphere of the category of utility. It is important to understand the question well. Morality, for instance, in substance, is what restrains, controls the useful, and, in so doing, accomplishes its necessary function. Another thing is being inhibited from pursuing one’s own utilitarian purpose in the name of moralistic ideals, in short, this is what Machiavelli meant, essentially, when he asserted that States cannot be governed by Our Fathers and Holy Marys. As one can see, the question is complex and intricate and there is no doubt that if one wants to go beyond Croce without running the risk of going backward this is one of the points that offer ample subject for reflection. Among the many other issues, there is one major and fundamental aspect of Croce’s Logic that needs to be examined, namely, the now ancient question, which some interpreters have thought to be superfluous for the same reasons given by Croce, of the unity of the judgment of definition and individual judgment. The descent, as we have called it, from the pure concept to the intuition, or the examination of the relations which are established between the concepts and the intuitions, when we attained the first, and of the ensuing transformations, to which the second are subject, might at first sight seem complete. The concept, which was first contemplated in abstraction, has been demonstrated in a more concrete manner, in so far as it takes the forms of language and exists as the judgment of definition. Further, we have shown how, when thus concretely possessed, it reacts upon the intuitions from which it was formed, or how it is applied to them, as it is called, giving rise to the individual or perceptive judgment. [...] The judgment of definition is not an individual judgment; but the individual judgment implies a previous judgment of definition. To think the concept of man does not mean that the man Peter exists. But if we affirm that the man Peter exists, we must have first have affirmed that the concept of man exists, or is thought (pp. 198-99). Croce explains, with a wealth of examples and particulars, that the judgment of definition, the definition, is dissolved in the unique, true judgment which is always an individual judgment. Even the most pure definition is always conditioned by the “individual” (historical) situation in which it is pronounced: “Virtue is the habit of moral actions,” is a formula which can be pronounced a hundred times. But if it be seriously pronounced as a definition of virtue each of those hundred times, it answers to a hundred psychological situations, more or less different, and is in reality not one, but a hundred definitions (p. 210). Judgment, therefore, is logical synthetic a priori, real unity of truth of reason and truth of fact, indissoluble union of representation or intuition and concept, subject and predicate, particular and universal. But let us turn to the central moment of Croce’s philosophy , to the theory of judgment as historical judgment, sole form of knowledge because unity of representation and concept. In History as the Story of Liberty, in which, as Croce intimates in the Forward, he takes up the themes of History: Its Theory and Practice, the question is resumed once again and situated further in the perspective of the relation between theory and praxis, thought and action. It is a complex and fundamental shift, so much so that Croce himself could write: ”in writing these pages the author has sometimes had the feeling, in the course of his meditations, of having penetrated into the grueling depths of Goethe’s Kingdom of the Mothers.”(HSL 8). Here emerges the great theme that will preoccupy the later Croce confronted by the dark and yet necessary forces that seemed to shake humanity from its bowels. This is the theme of vitality, raw and green, that will engage the meditations of the old philosopher, gloomy spectator of the drama staged by the totalitarianisms of World War II. This is how Croce puts it with his usual simplicity and clarity: It is not enough to say that history is historical judgment, it is necessary to add that every judgment is an historical judgment or, quite simply, history. If judgment is a relation between a subject and a predicate, then the subject or the event, whatever it is that is being judged, is always an historical fact, a becoming, a process under way, for there are no mobile facts nor can such things be envisaged in the world of reality. Historical judgment is embodied even in the merest perception of the judging mind (if it did not judge, there would not even be perception but merely blind and dumb sensation). For example the perception that the object in front of me is a stone, and that it will not fly away of its own accord like a bird at the sound of my approach, makes it expedient that I should dislodge it with my stick or with my foot. The stone is really a process under way. Struggling against the forces of disintegration and yielding only bit by bit, and my judgment refers to one aspect of its history (HSL 32). Allowing, therefore, that this cognitive process is real, and distinct from “false knowledges” (which are not found to be false but practical and necessary classifications), what is the relation between thought and action, theory and praxis? Man, as we saw, is always a whole man, he is not divided, split, as could appear from the analytic necessity to describe what in reality is synthetic. Croce, in fact, writes: For if knowledge is necessary to practice, practice, as we have demonstrated above, is necessary to knowledge, and cannot arise without it. There is a circle of the spirit which, when recognized, does away with all need of a primary absolute and a secondary dependent, by continually making the first the second and the second the first (HSL 41). Judgment, therefore, prepares the action (even without determining it, Croce specifies) but from the action, in a certain way, it originates as exigency of knowledge. We realize, for instance, that in a given historical moment democracy is at risk. It is probable, then, that we reread Tocqueville , the great scholar of democracy, and that reading will lead us to assume attitudes of a certain type in the concrete political praxis. This is an example, among many, to be taking with the benefit of inventory, but it is clear that even the most common of our actions requires a reflection, a judgment. But is this how the nexus between judgment and action is resolved and motivated? Raffaello Franchini proposes an acute rereading of Croce’s thought by trying to take a further step, from historical judgment to perspective judgment, intending in this manner to reinforce the Unitarian aspect and to save, naturally, the distinction. Judgment, in placing history always before us, in our perspective, makes history itself happen, even though leaving it free, since judgment “grasps” a part of reality contributing to the creation of new conditions, new subjects of judgment. History and liberty. In conclusion the great theme of the relation between philosophy and liberty presents itself. Croce denies and combats what he calls terminal philosophies (those of Hegel and Marx amongst others) or philosophies of history that subordinate the development of history to absolute principles, stationary and external to history itself. It goes without saying that wanting to read history according to a pre-established plan, or according to laws and causes that would determine it (as in August Comte) means to fall in more or less implicit metaphysical forms. Whether it is the idea or matter that determines history, matters little, what is being denied is that history can be determined, that one can, as Croce put it effectively, put the pants on the world. It is understood that once we accept the idea that history is governed by laws or causes, that a single absolute determines its development, inevitably, at the political level, we arrive at justifying more or less violent forms of totalitarianism, even though one is trying sincerely to defend democracy. In views such as these, the political adversary is not simply an enemy to be abolished because of differing opinions. The political adversary embodies the very enemy of history, who wants to shatter the supreme laws of history and who, eventually, will be crushed by history itself. Man can only suffer this process. In some ways he is de-responsibilized. In the last instance, man is not free. The unity of philosophy and history postulated, or better, deducted by Croce, is of an entirely different nature. Philosophy does not swallow up history (the opposite could be the case, in Croce’s system) but thinks history and with history of which it is a part, it is transformed continuously in the ceaseless, perpetual struggle with the negative. From this viewpoint, Croce’s thought is a severe critique of the philosophies of history and historicism in its nineteenth century version. History, then, is the story of liberty in the sense that liberty constitutes its essence, not because at the climax of history, at a certain moment, without knowing why, the kingdom of liberty would be realized. Who believed, even kindly, in this dogma, has often contributed to create reigns of oppression and slavery. Croce writes: He sees this and he sees so many other things and he draws the conclusion that if history is not an idyll, neither is it a “tragedy of horrors” but a drama in which all the actions, all the actors, and all the members of the chorus are, in the Aristotelian sense, “middling,” guilty non- guilty, a mixture of good and bad, yet ruled always by a governing thought which is good and to which evil ends by acting as a stimulus and that this achievement is the work of liberty which always strives to re-establish and always does re-establish the social and political conditions of a more intense liberty. [...] Having said this, what is then the anguish that men feel for liberty that has been lost, the invocations, the lost hopes, the words of love and anger which come from the hearts of men in certain moments and in certain ages of history? We have already said it in examining a similar case: these are not philosophical nor historical truths, nor are they errors or dreams; they are movements of moral conscience; they are history in the making (HSL 62). Croce’s complex thought is certainly not exhausted here, and many are the implications that should be discussed and cleared up from the critique of logical formalism, to philosophism and aestheticism, from the pages dedicated to the history of philosophy in the Historical Retrospect, in appendix to the Logic, to the many minor writings, to the reviews, the translations, and so on. The essay on Hegel with the fortunate title of “What is living and what is dead of the philosophy of Hegel” represents a decisive stage along Croce’s long and troubled journey. Even if the dialogue with Hegel will last until the last months of the philosopher’s life, it is without doubt in this early composition that Croce’s hermeneutics is manifest in all its strength, with its capacity to catch Hegel’s most inner meanings. The great themes that we identified in the Logic are also the themes of the dialogue with Hegel: the dialectic , the status of the sciences, the historicity and eternity of philosophy. In acknowledging his debt to the great philosopher, Croce does not spare him his criticism, at times even severe, written in a clear and transparent style that does not avoid an irony, which is sometime a bit too pungent. But in reading the pages that he dedicates to the last days of the German philosopher, we have the confirmation that Croce, while being less “Hegelian,” as some critics have made him out to be, he always found in Hegel a constant point of reference. We are referring to the tormented pages that accompany the reflections on the category of vitality, to the years of the afterthoughts on the dialectic, to the question of the motor principle of the very same categories. Croce reflects over the essence of Hegel as the author of a great Ethic even more than a great Logic, who made the effort of redeeming evil, acknowledging its essential function. It is the theme of the Anti-Christ which is in us, of the perennial dialectic between positive and negative.